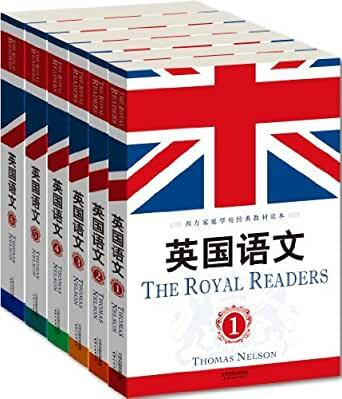 The Royal Readers were edited and published by the famous British publisher and used in schools until well into the 20th century. 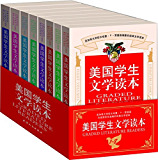 They are edited as six books in the Royal School Series. Students progressed from the very easy lessons to classic readers. The First Book, beginning with similarly easy lessons, consisted of rhymes and simple short stories with plenty of illustrations for young learners. Children learned letters and easy reading. The first part of this book focuses exclusively on monosyllabic words and the second part introduces two syllable words. In the Second Book there are short selections of poetry and prose designed to encourage interest in reading. Each story is followed by a lesson on pronunciation, simple definitions of new words and questions on its content. The Third Book is very similar though slightly more advanced and including more writing exercises. The Fourth Book includes phonetic exercises, model compositions and dictation exercises, as well as outlines of British History from Roman Period as far as 1400 A. D.
The Fifth Book features sections on health of the body, plants and their uses, as well as quotes and stories of great men. Book Six, the final book in the series, contains word lessons and passages with sections on great inventions, classification of animals, useful knowledge, punctuation and physical geography, as well as the British Constitution. 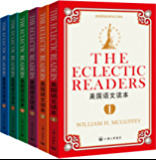 This set of English readers published in the beginning of 20th century was ever popularly used in the western schools. It has been constructed with a view to induce children to take a real interest in what they read, and to make them delight to exercise their power of reading. Great use has therefore been made of the objects of Natural History, and of the incidents and common things of daily life, by which children are most likely to be attracted. By being made to frame each answer in the form of a sentence, the child thus unconsciously produce a little composition exercise. Furthermore, exercises of spelling, pronunciation attached to the text are also of great help for children to speak Standard English. Good reading is more readily acquired by practice than by precept. The more children read, they will read the more fluently, intelligently, and gracefully. 5.0 颗星，最多 5 颗星原汁原味 ,很喜欢.